Here’s the real deal, though. I went to try on clothes yesterday and I think I was expecting that I would *look* way better. But… I didn’t. And it kind of took the wind out of my sails, ya know? It’s so easy for me to get thrown off track by a downer like that, but when I left the store and went to Shake Shack, you know what I got? A cheeseburger wrapped in lettuce. And do you know what? It was actually delicious. So, instead of getting down on myself, I’m going to just plow ahead and maybe not look at the scale for a while. I’m going to keep doing what’s working and let it keep working. It’s probably time to add the gym back into my life. I’ve been hesitant because every time I go back to the gym, I gain weight. People always tell me that it’s because I’m gaining muscle, but I think that is an old wives tale. I think I gain weight because if I work out I feel like I can cheat. And I can’t. Going to the gym should be like doubling down on the work I’m putting in on the food side, not an excuse to cheat. I shouldn’t be using the gym as an excuse to dismantle the foundation that I’ve laid in the kitchen, right? Which makes finding recipes that I LOVE even more important. I need to feel like I’m cheating, while still not cheating. Now, I admit, this is not something I would have thought of, a Reuben Salad. but it was really delicious! My only minor complaint was that I didn’t buy good Swiss cheese. It would have been even better if the Swiss were a little milder than the one I got. If you’re craving a Reuben, though, this will totally hit the spot. The next recipe I tried is ridiculously good. Addictive. I think I ate it for Dinner, Breakfast, Lunch and Dinner, in that order. It’s a crock pot meal and it’s super easy. Except for the chicken shredding. If anyone can tell me an easier way to shred chicken, please share! It is my least favorite kitchen duty. 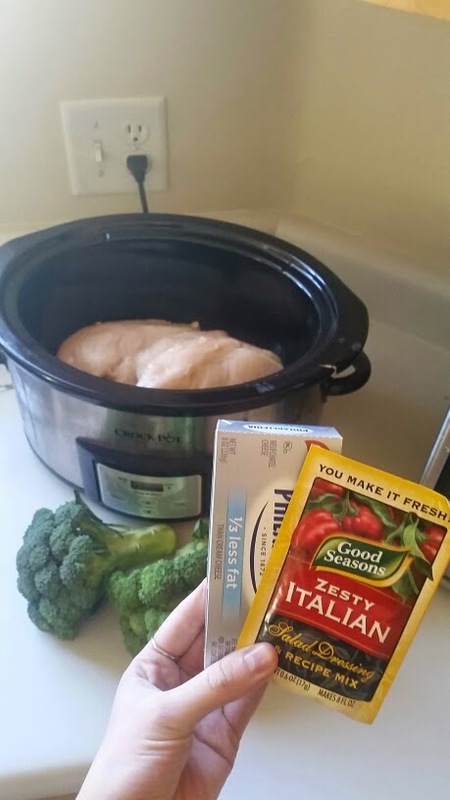 So, it’s Creamy Italian Chicken with Brocolli from Britney Munday. It’s really, really good. I would eat this even if I wasn’t on a diet. I would make this for a pot luck and everybody would love it. This will be a weekly meal in this house. Now, to be honest, dinners, meals in general, aren’t difficult on Keto. There’s a lot of options and you can use high fat ingredients like cream cheese and butter, so it’s not hard to make filling and flavorful meals. It’s in between meals that gets a little dicey. Like, when you’re out and about, maybe you’re on your third hour of a Target marathon and you start to get hungry? That’s when it gets a little difficult. Or when you wake up late for work and you need to get the hell out of the house in 16 minutes. What do you grab? You can’t have chips. You can’t have a Granola Bar. The easy things to grab are generally not the things that you can have. 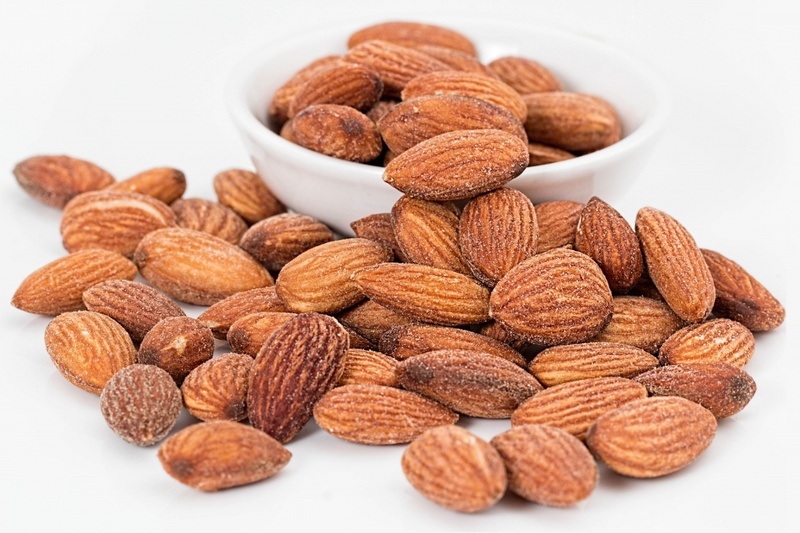 Almonds are basically my best friend. Actually, all the nuts. I stash bags of them in my purse. In my desk at the office. On my bedside table. 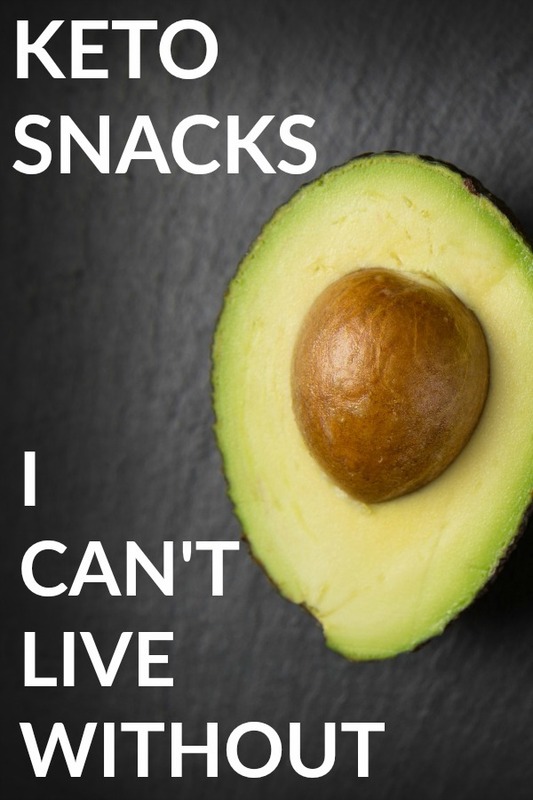 They are everything you need in a snack. A little bit salty, crunchy and they are actually healthy. They are also filling so you’re not starving again ten minutes after eating them. Nuts are definitely my number choice for easy, on the go Keto snacking. Hard boiled eggs are not quite as portable as a handful of almonds, but they are totally what I grab when I’m running out the door to get the kids to school and myself to work and I haven’t eaten breakfast. I make a bunch at the beginning of the week and keep them on hand for emergency snacking or breakfast. 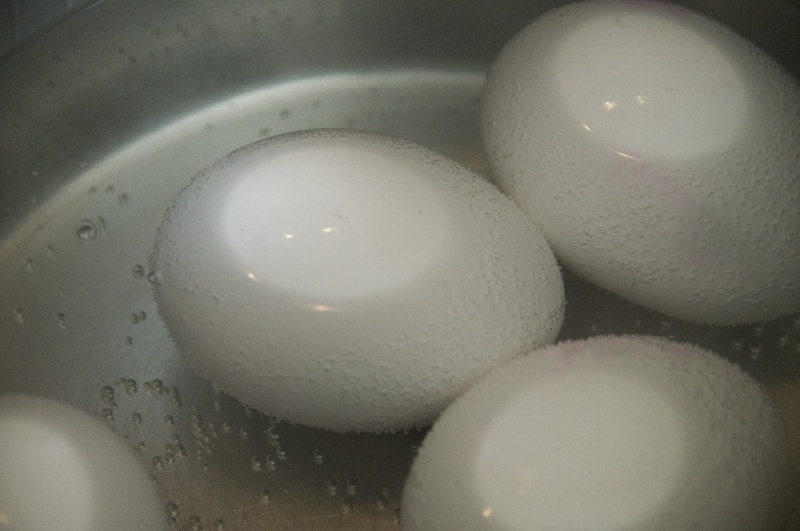 If I’m not on the go, hard boiled eggs are just a couple of ingredients away from Deviled eggs, which is one of my favorites. Roll up a couple of pieces of ham or turkey or salami and you’ve got a great finger food snack. 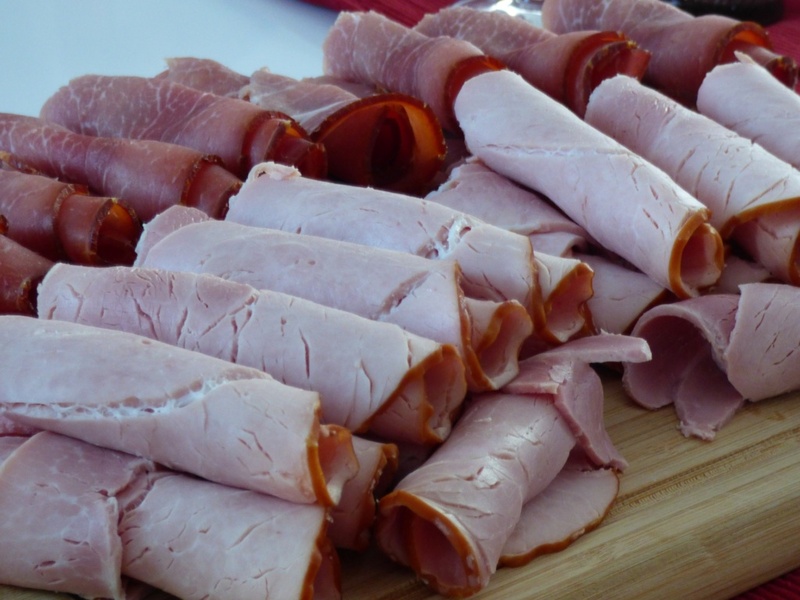 When you’re at work and everyone is having their sandwiches, you won’t feel left out if you’re having a smoked turkey roll up, I promise. If you throw a little mustard on before you roll it up, it’s just as good as a sandwich. Cheese sticks have saved my life a couple of times. Ok, I’m exaggerating, but these are so quick and easy to grab and I love cheese, so it’s a win all around. 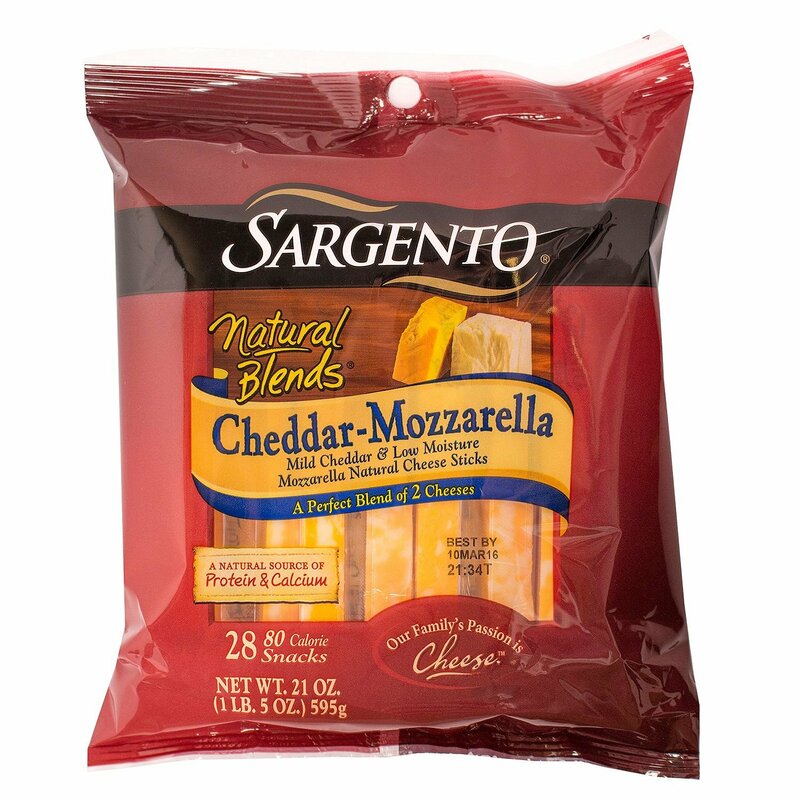 I try not to over do it with cheese, but I still keep a bag of these in the fridge at all times. My daughter loves them, too, so I never eat the whole bag myself, ok? 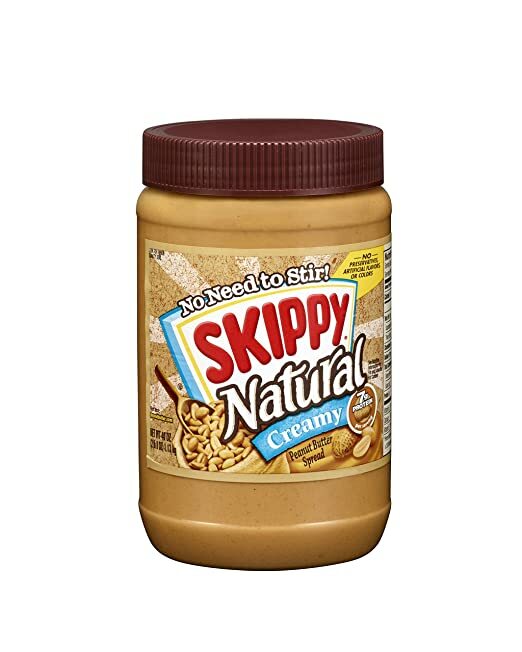 Peanut butter, and it has to be a good Peanut Butter like this Skippy Natural is the best to keep on hand when you have a craving for something sweet. I keep a jar at work and one at home. I literally just eat it right off of a spoon. It’s sweet but still somehow super low in sugar. 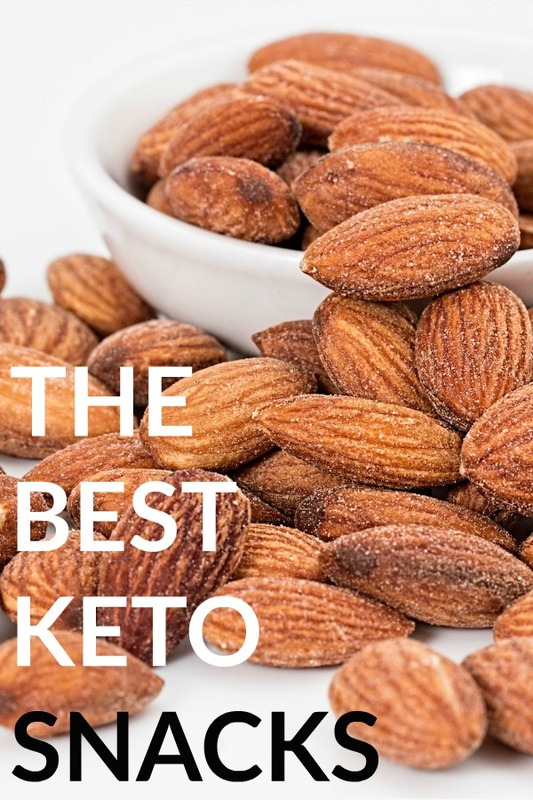 It’s funny looking back at the first two posts about this Keto Journey because I really thought the hardest part was going to be finding sweets to eat and I was pinning tons of dessert fat bombs and I was desperate to find a good sugar alternative. Now, two months in, I’m not really thinking about sweets. Totally bizarre. I ate a carrot the other day and I was like, WOW! Carrots are sweet. Things are changing, people. Things I didn’t think would ever change. 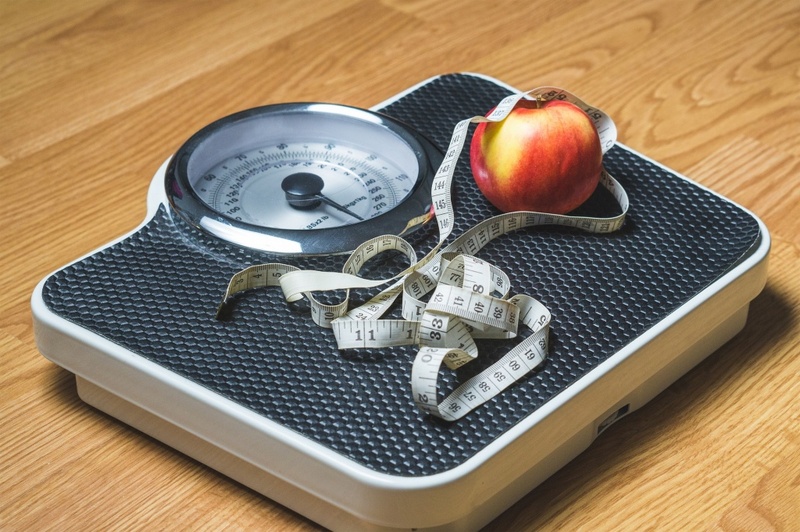 If you really want to give the Keto Diet a go, make sure you check out Keto Bootstrap.